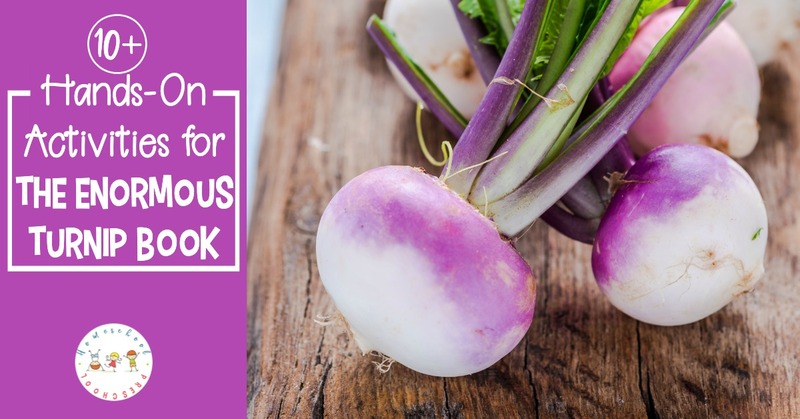 This spring, explore this collection of The Enormous Turnip activities with your young readers. 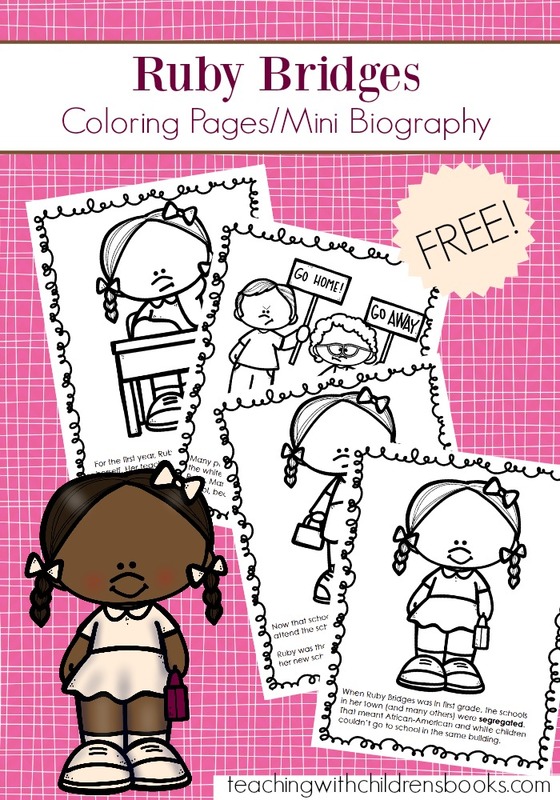 They’re perfect for kids in preschool through elementary. Spring is here, and we are so ready! Now is the time of year to start filling our book baskets with books about seeds, gardening, insects, and the like. One of my new favorite spring books is The Enormous Turnip. It is an old folktale about a farmer who plants a turnip seed. The turnip grows so big that the farmer can’t harvest it himself. So, he enlists the help of friends and family in a story that points out the importance of teamwork. When I teach book-based lessons, I love to dig in and discover other fun “rabbit trails” to follow. The Enormous Turnip is the perfect lead into discussions about seeds, gardening, farming, vegetables, healthy eating, teamwork, and more. 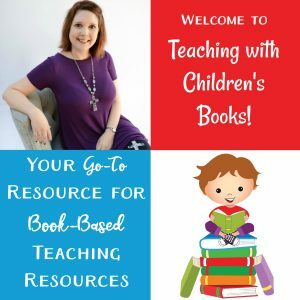 The activities I’ve shared below will help you extend the learning in fun hands-on ways. Which will you try first? 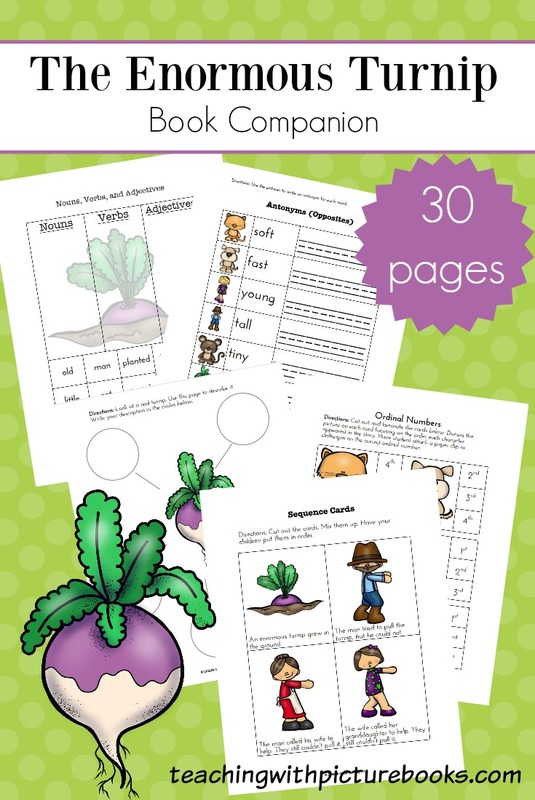 The Enormous Turnip Printables: My 20-page printable is packed full of learning activities based on the book. It also includes extension activities such as a ‘parts of speech’ sort, ordinal numbers practice, and more. Garden-Themed Process Art: After reading the story, cut up some vegetables – be sure to include a turnip – and let your little ones paint a picture with veggie stamps. 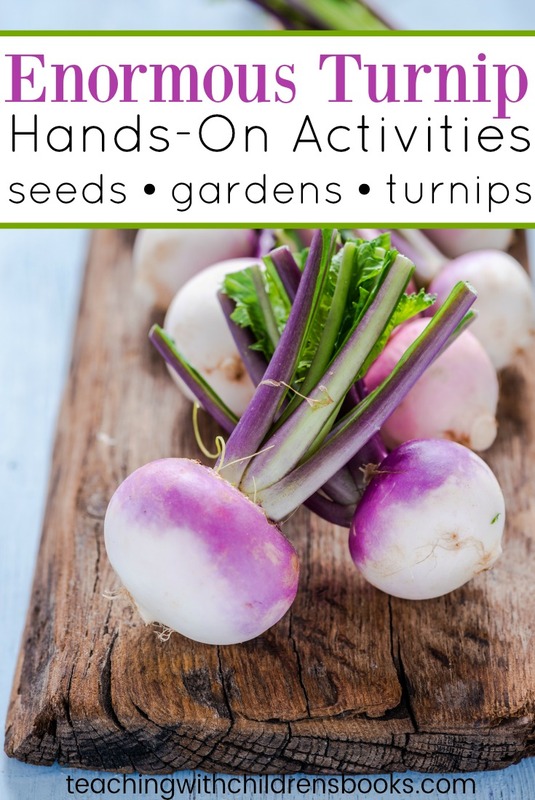 The Giant Turnip Activities: This story sequencing activity is based on one of the variations of the story, The Gigantic Turnip. Growing Veggies: While this post is about growing carrot tops, you could adapt it to go along with the story by growing turnip tops. The Enormous Turnip Art: Let kids create their own enormous turnip with this fun art project. An Interactive Storybook: I love this interactive storybook version of The Enormous Turnip. 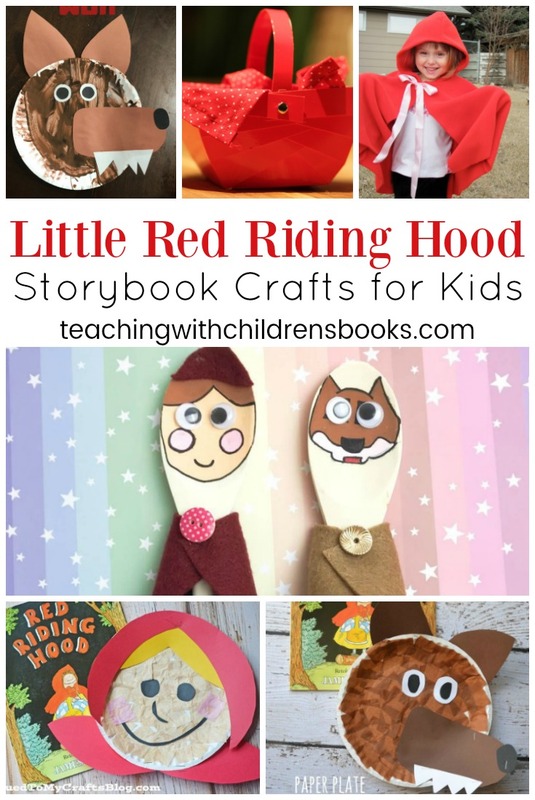 Print it out, bind it, and let kids get hands-on with the story and its characters. A Vegetable-Themed Sensory Bin: Kids will love this fun sensory bin. You could use real or plastic vegetables in this one. Vegetable Garden Watercolor Painting: This is a beautiful project for your artistic kids. It is a great way to highlight all of the parts of a vegetable, too. Books About Vegetables: Fill your book basket with some of these books about vegetables. Garden in a Glove: When my kids were younger, we put bean seeds in a plastic baggie with a wet paper towel. We taped the baggie to the window and waited for the seeds to sprout. But, here’s a unique twist on that activity! Have your kids start a garden in a glove. Plan a Garden: To extend the lesson in a tangible way, let your kids plan and plant their own garden. My daughter is doing this over the next few weeks, and she’s already talking about tasting the new vegetables that she plans to grow! Preschool Gardening Project: I love the use of the measuring sticks in this project. Little ones will be so excited watching their plants grow taller and taller all season long. Storytelling Props: You can easily make storytelling props using toys and supplies you’ve likely got lying around the house. Growing Vegetable Soup Sequencing: These sequencing cards were made specifically for Growing Vegetable Soup, but they’re great for sequencing “how to plant a garden”, as well. Gardening with Kids: There are so many benefits to gardening with kids. With this amazing collection of ideas and activities, your kids can learn about plants, try new foods, and tend their own garden spots.